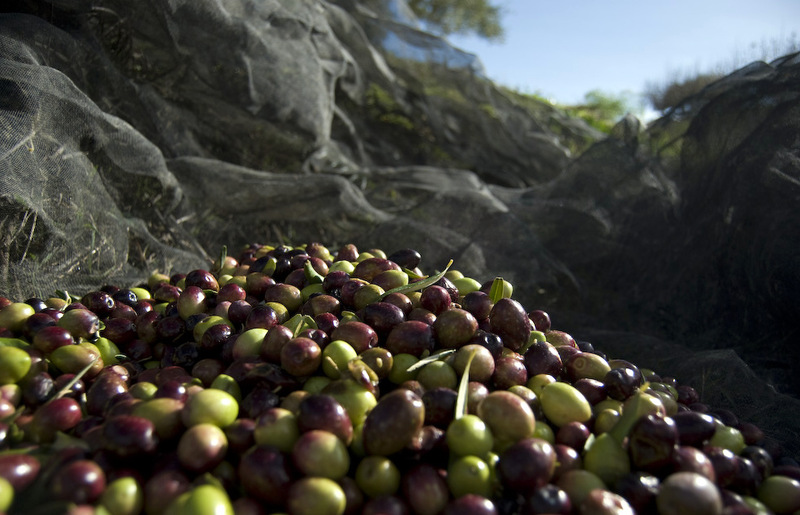 Is the Biotech Industry Behind the Destruction of Italy’s Olive Trees? Italy is internationally known mainly for three things: its cuisine, its abysmal politics, and its vistas and beaches. In recent months, a series of events has developed that involve those three aspects. 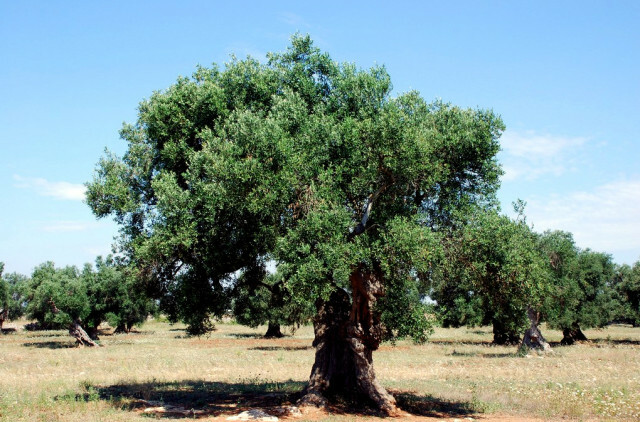 Activists, farmers and a government inquiry have shed some light on what could be a potential covert assault by the biotech industry on one of the pillars of Italy’s culture and culinary heritage: olive trees. The area of Salento, in Puglia, is home to some of the most ancient olive orchards on Earth. The centuries-old trees are not only considered the property of the orchard owners, but also the collective heritage of the Italian people. 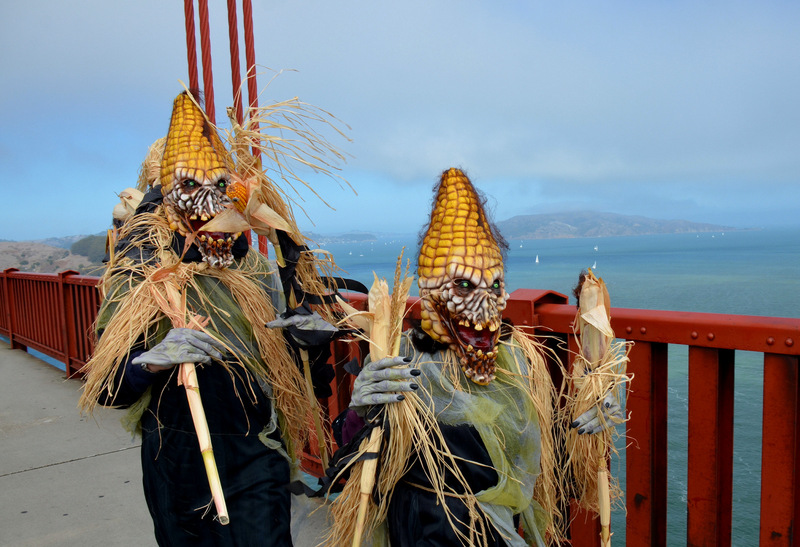 Their presence has provided a livelihood to thousands of people for millenia. In recent months, however, a phenomenon called CoDiRo, or Rapid Complex Desiccation of Olive Trees, has caused many of the trees to dry out. Among the causes of this condition there could be a bacterium called Xylella fastidiosa, which attacks, among others, the xylem in citrus trees and grape vines, dries them and their outgrowths, and often prevents the creation of fruits. 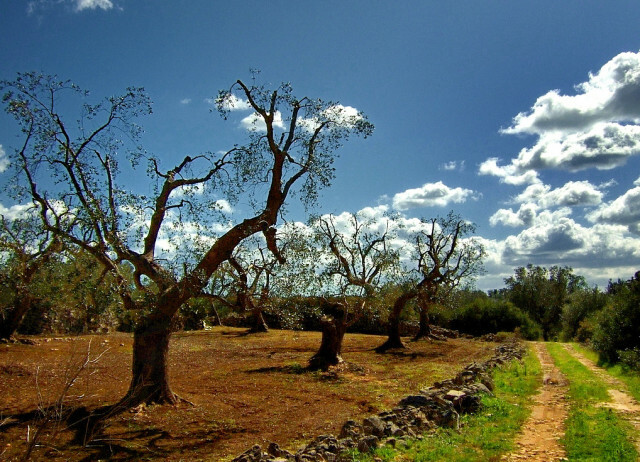 Before 2014, there was no recorded case of these bacteria infecting olive trees. Nevertheless, governmental and biotech lobbies, as well as the big-corporation friendly media, quickly began to shift the blame exclusively on the Xylella fastidiosa bacteria while ignoring other contributing factors such as the depletion of the soil due to the use of herbicides and pesticides and possible selection for certain species of insects. The complexity of the case was therefore drastically simplified, in order to present a threat that might not even have existed. The Italian government decided on a radical solution to confront this seemingly serious problem: the complete annihilation of all trees suspected of being infected and those near them. 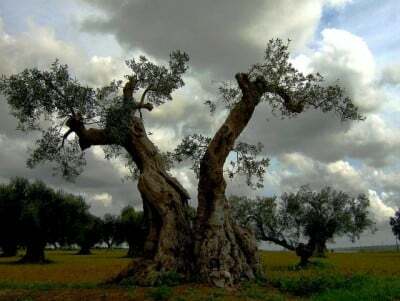 For months, farmers and activists opposed what would be the death sentence of the centennial olive trees, as well as the destitution of the farmers’ livelihood. The battle for the trees reached its peak in late May 2015, when the local government decided to go ahead with the eradication of the trees, while environmental activists took up positions on some of them to prevent this from happening. To defend its practices, the government of the region of Puglia claimed that it had received orders from the EU to carry out the eradication, a claim that was flatly denied by the concerned European officials. In essence, the answer is that we don’t know, and presently there is no scientific evidence to prove this hypothesis. Given the lack of certainty, farmers and environmental activists claim that the measures that the local and national government want to employ are excessively radical, and that they may be a smokescreen for a larger operation. Naturally, the next question arises: is this disease simply a catastrophic natural occurrence precipitated by human behavior, or are there grounds to suspect foul play? Let’s go back to 2010, when a network of plant pathologists, named Cost 873, met in the Italian city of Bari. Among the attendees were scientists from the Mediterranean Institute of Agronomy of Bari who had brought samples of the Xylella pathogen from California “for the purposes of scientific research.” During the meeting, a hypothetical scenario was discussed in which the Xylella bacteria would be released in parts of Europe as part of an effort to determine how the countries would react to a “bio-terrorist attack.” This is a bizarre scenario to imagine in itself, but it doesn’t conclusively prove anything. They claim to have disposed of the pathogen, and that the bacteria present in Italy are of a different variety than the one they had brought. This could not be known for sure, however, since the lead investigator, the commander of the Forest Guard Giuseppe Silletti, has refused to do a genetic comparison of the allegedly introduced bacteria to those involved in the current infections. Many do not understand the government’s insistence on the measure of eradication, particularly given the lack of concrete evidence and the existence of effective alternative policies. Many have pointed their fingers at the biotech industry. There are good reasons for this: the institution that brought the pathogen into Italy in the first place is funded by biotech companies. Furthermore the biotech giant Monsanto, known for its predatory practices, owns Allelyx, a company entirely devoted to the creation of GMO strains resistant to the bacteria, and the name of which, what an irony, is Xylella spelled backwards. Given these links, which are interesting but not conclusive, and the unwillingness of the government to conduct a thorough investigation, many have alleged that there is collusion between the government and the biotech industry. The popular belief is that this crisis could have been engineered for the purpose of eradicating local olive trees. The reasons for this are still debated, but the dominant hypothesis is to force local cultivators to switch to GMO varieties resistant to the disease. There is only one problem with this notion: there are currently no studies of GMO olive trees available. 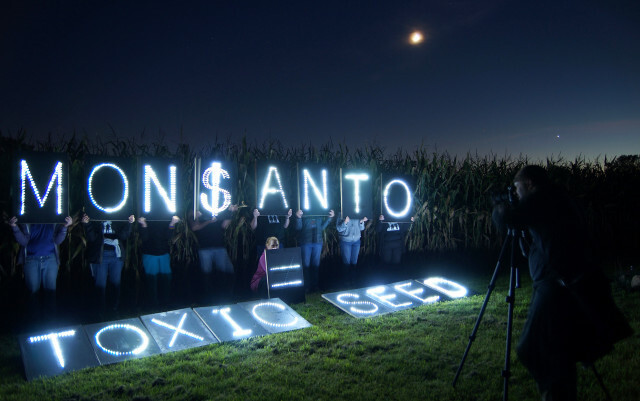 During this investigation a Monsanto spokesperson was contacted for comments, as well as the University of Wageningen, and the Mediterranean Agronomic Institute of Chania. They all denied being involved in, or knowing about, any research on GMO olives. The only experiments in existence were conducted in Italy starting in the 1970s, and the trees were eradicated in 2012 after the passing of a law that prohibits any field test of GMO crops. This does not prove that there is no nefarious involvement but keeps the investigation open. Furthermore, it is not certain that the answers of the institutions that were contacted were, in fact, honest. The research may be carried on in secret, awaiting the spread of the disease to critical levels before being released. There is a second hypothesis that is wisely considered and seems to have serious grounds of legitimacy. In this scenario the tourism industry, and not the biotech one could be to blame. Indeed, the area most hit is a tourism hotspot. In the past two years, room booking requests have increased by 45 percent, which has prompted the local authorities to enact a ban on the construction of new tourist villages and resorts. This might change if the olive industry is decimated. Whether directly responsible or simply taking advantage of a “good crisis”, tourism businesses are already cashing in on the situation. Properties that have been deemed to be infected by the Xylella bacteria are being sold at extremely low prices, and many of them have already been purchased with the express intention of building nightclubs or hotels. Before this can proceed, the lands have to be reassigned, from being farming lots, to residential and commercial use – a measure that the region will most likely consider should they require increased income to offset the decrease in the olive business. Since July 2015, Italian police seems to have pursued this case more aggressively by confiscating hard-drives and files from the Ministry of Agriculture and the Mediterranean Institute of Bari. Meanwhile, the regional administrative tribunal of Lecce and Rome have called for an immediate freeze of the eradication policy (called the Silletti Plan) while an investigation is undertaken. 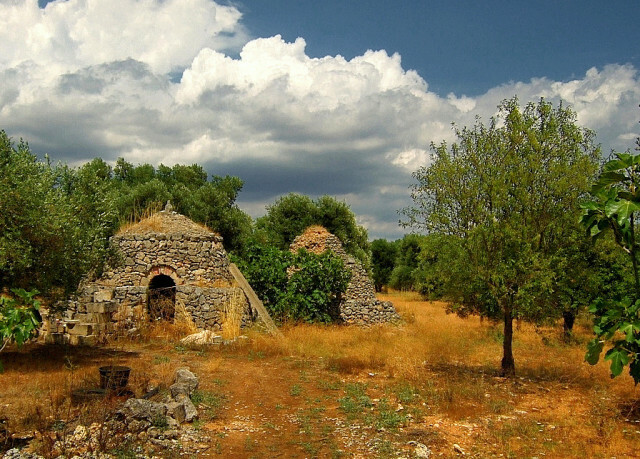 Pursuant to this case are twenty-six organic olive oil brands and numerous farmers. The Italian Minister of Agriculture Maurizio Martina, the major proponent of the eradication plan, has already promised that he will file an appeal should the farmers win the court case. 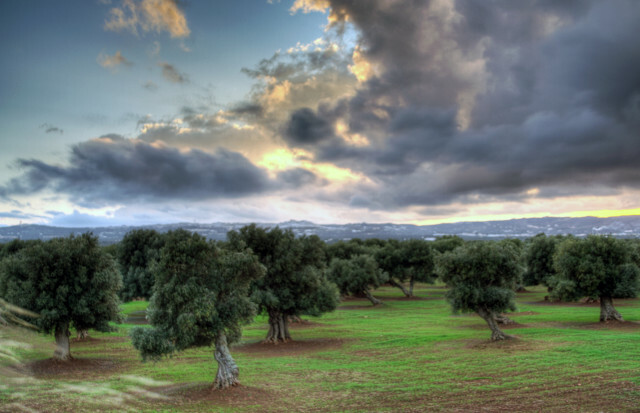 If an answer is found and even if it bears the name Xylella, this should be cause for mourning – over 800,000 trees are poised to be cut down. Meanwhile the question remains: is the biotech industry deliberately attacking Italy’s olive trees? The one thing that is certain is that without the conclusive, transparent, and independently acquired scientific proof, these questions will remain unanswered. 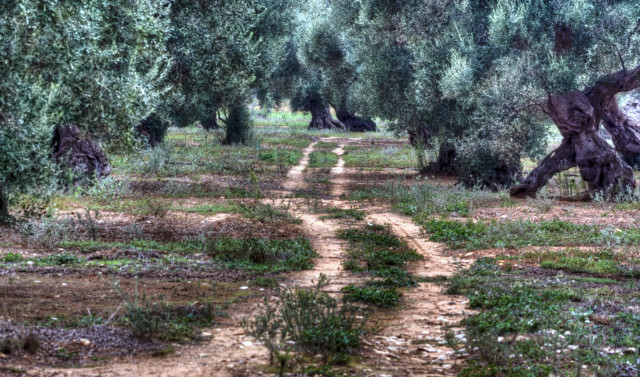 If this is the case, thousands of centennial olive trees will be eradicated for no good reason or, even worse, to serve a nefarious covert agenda. Editor’s Note: Photographs one, seven and eight by Francesco; photograph four and six by Paolo Margari; photograph two by Sean O’ Casaidhe; three by Yellow Cat; five from Light Brigading archive and photograph nine by Steve Rhodes.